In recent months, I’ve been cooking with ingredients that help to support my underactive thyroid so that I can sustain my energy and strength. Whilst I live an active lifestyle, there are are the odd days where I experience heaviness in my legs and the feeling of dead weights in my arms – the only way of describing it is a lead-like tiredness. I have been following some of the recommendations that Izabella Wentz made in her book – Hashimoto’s Thyroiditis: Lifestyle Interventions for Finding and Treating the Root Cause to understand the journey I’ve been on with my own thyroid in the past years. 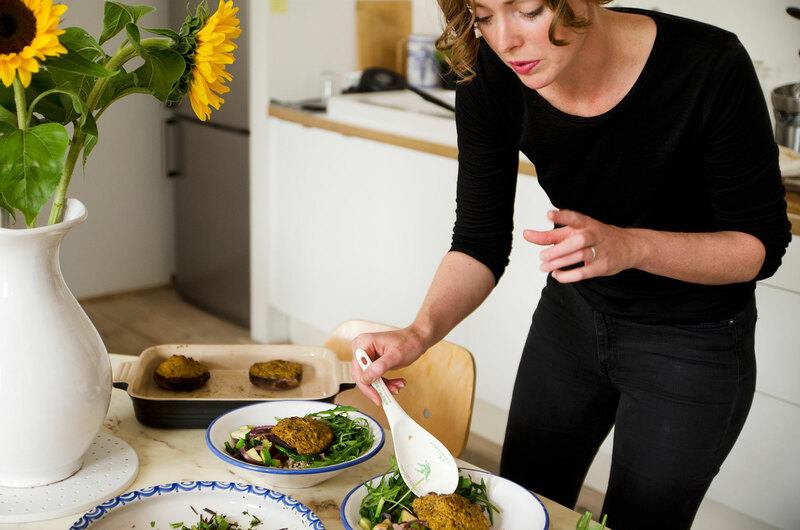 And while it is essential to have a fully qualified practitioner manage your blood levels, as Izabella Wentz describes, a lot can be done through nutrition and lifestyle to support your body. 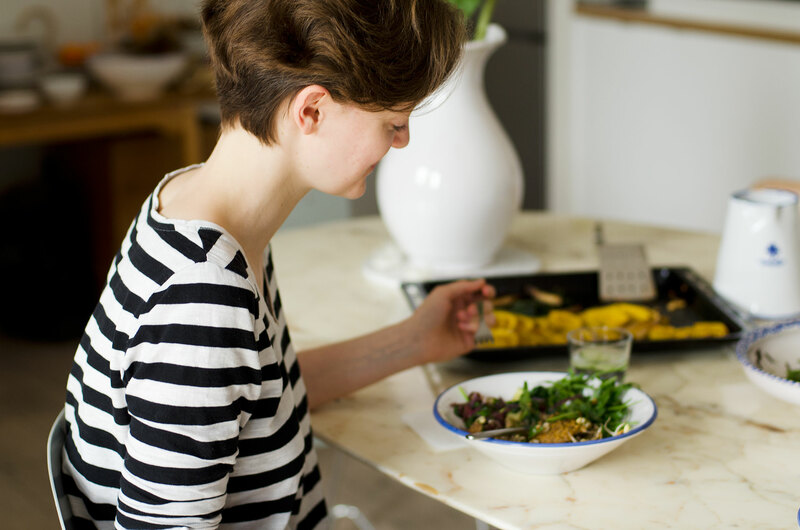 We had a Foodadit brunch where I put together a dish that included some valuable nutrients for the thyroid – something I fondly term the Portobello Booster Bowl. Gluten-free, sugar-free and vegan, it’s a very nurturing dish. 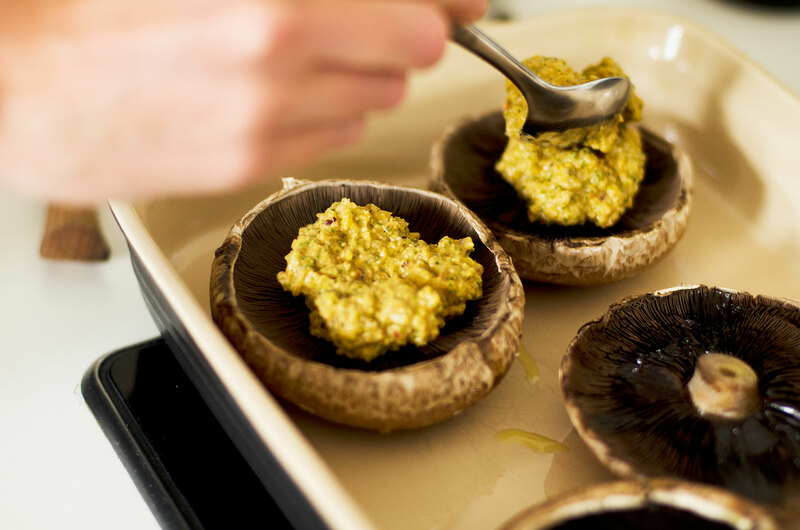 Portobello mushrooms are known to contain vitamin D and I made them with a brazil nut topping for selenium, and short grain brown rice with a small strip of pre-soaked Kombu, an edible kelp for a boost of iodine. (Incorporating sea vegetables into your diet may help to support your thyroid but should be used sparingly. If you are concerned about your thyroid, please consult your doctor before incorporating this as too much can disturb the fragile balance). With the change of season upon us all, this dish is both light and grounding at the same time – it’s great finishing a meal not feeling too heavy and I think the team enjoyed it too!